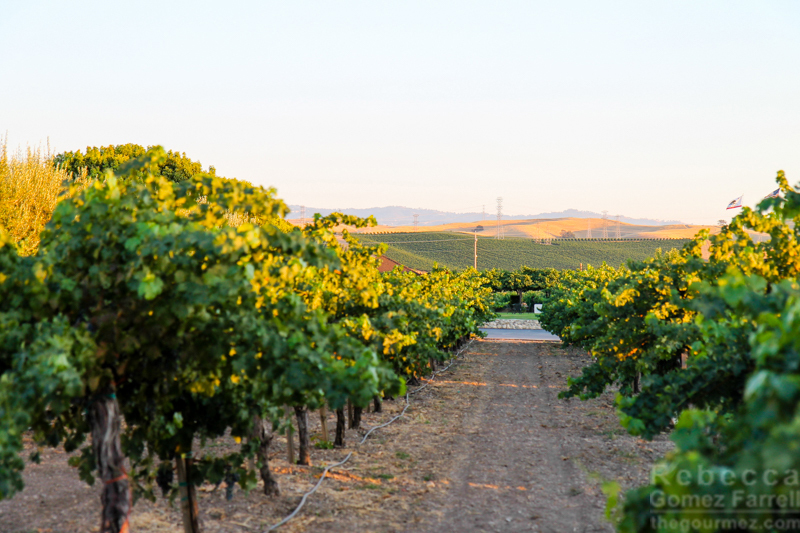 View of the Livermore Valley Wine Country from Las Positas Vineyards. It’s been a few months since I visited the Livermore Valley Wine Country on a pre-excursion to the 2016 Wine Bloggers Conference (WBC), but my memory has not faded at the impressive wines being churned out by this little known region. 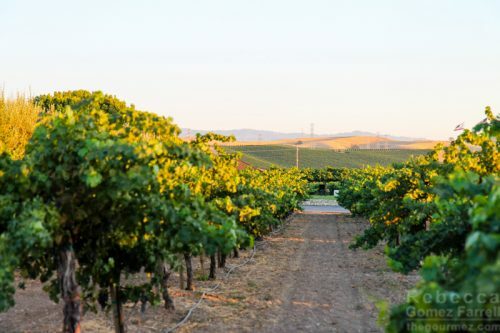 With its close location to the San Francisco Bay Area where I live, it’s a mystery why the Livermore Valley isn’t better known yet, especially with its historical importance to the growth of Californian winemaking. 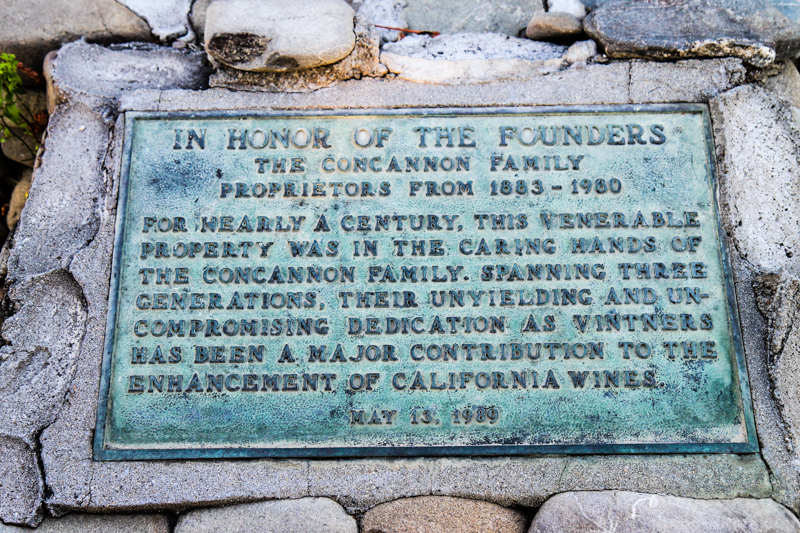 That history is the reason I was drawn to this particular excursion; two of the most well-known wine families, Wente and Concannon, are located here. 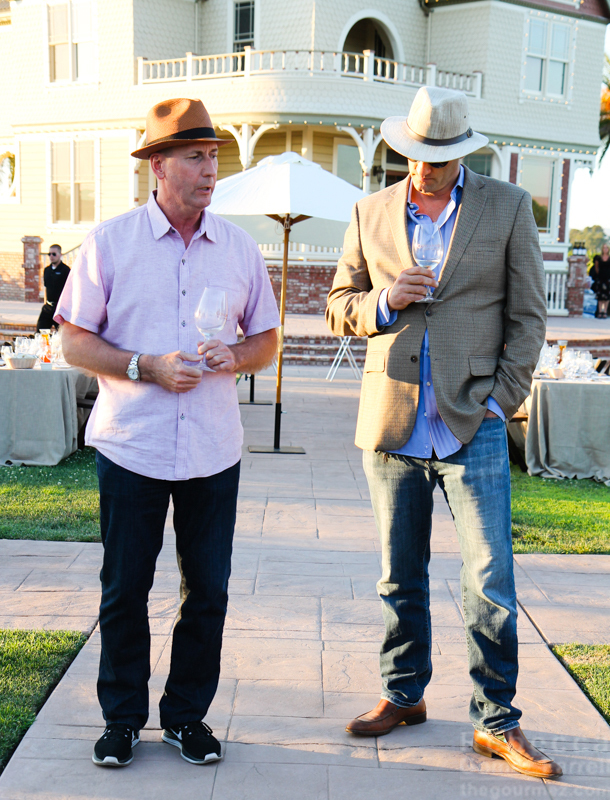 Winemakers John Concannon, L, and Karl Wente, R.
Both of these founding families, as they’ve been dubbed, are a major reason why Livermore Wine Country exists today—indeed, why California wines exist today. 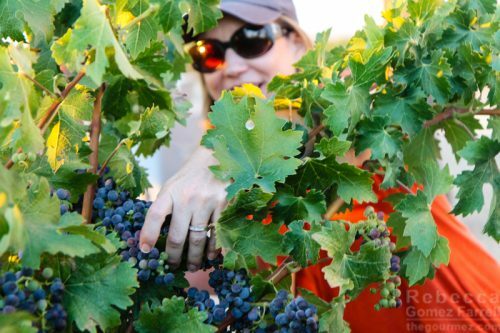 With histories beginning in the late 1800s, they managed to outlast Prohibition and preserve chardonnay and cabernet sauvignon vines that have now been cut and grafted all over the state. Over 80% of California’s chardonnay grapes come from Wente clone vines and 80% of California’s cabernet sauvignon from Concannon’s. 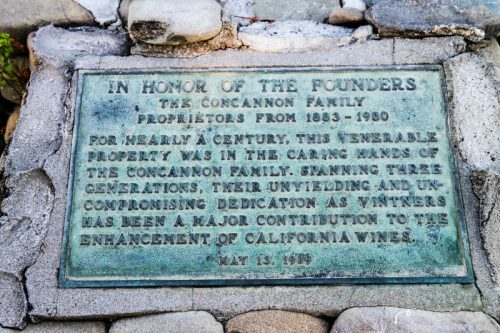 Having dinner with members of these two families was a major reason I wanted to attend the excursion, and indeed, the evening spent at Concannon Vineyards, dining outside behind a newly relocated historic home and the cabernet sauvignon mother vine was exceptionally lovely. 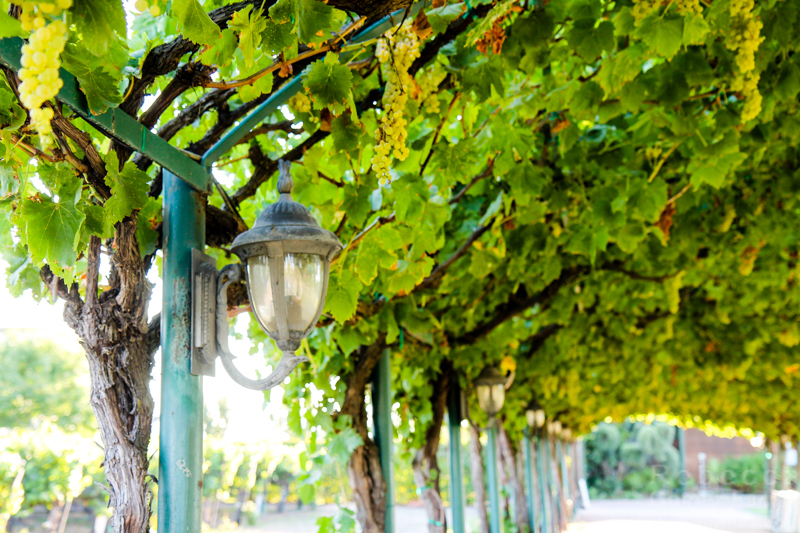 Trellis on the Concannon grounds. 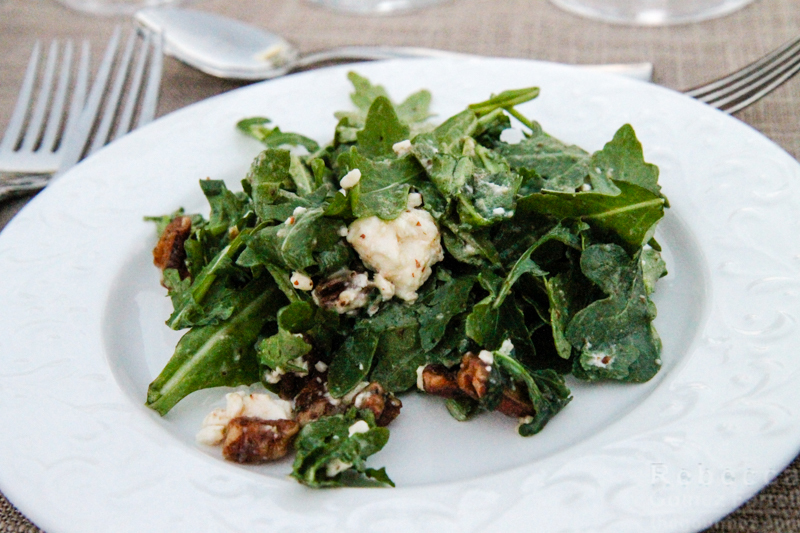 Before we ate, wine bloggers picked a few of those cabernet grapes to press and taste the fresh juice. 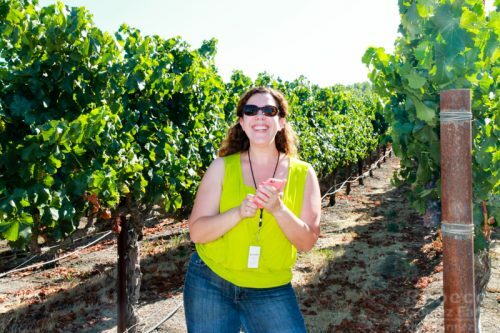 Blogger Sandra Crittenden of Wine Thoughts. Then we moved on to dinner, where a number of the wines paired very well with the meal, particularly the Concannon 2013 Mother Vine Cabernet with tri-tip (which made my Most Memorable Wines of the WBC list) and the Wente 2015 Morning Fog Chardonnay that emphasized the creaminess of the arugula salad’s dressing, while offering a peach sherbet impression with a healthy dose of sharp acidity. As I discovered throughout the Livermore excursion, the founding families are deservedly given a lot of credit for what they’ve done to keep the region’s wine business thriving, but newer families and entrepreneurs are also imbuing Livermore wines with zestfulness and that family spirit of sharing even when family merely means neighbor. Scientist seemed to be a common first career for several of the more recently relocated who have made winemaking their second occupation, though some of the smaller estates also boast multigenerational winemakers, just not quite as many generations as the founding families. As Steven Kent Mirassou put it when we visited Ghielmetti Estate Vineyards, where many of the bantam wineries source their grapes, “the Livermore Valley became perceived as very parochial” in terms of wine culture over the years, but now, the region is capitalizing on the area’s growing charm. Steven pays tribute to his own heritage as a sixth-generation winemaker with his Lineage wine, one that he believes blends his family’s learned experience with the beautiful Bordeaux grapes that first attracted wine growers to the Livermore Valley in the 1800s. Blogger Allison of A Glass After Work among Livermore vines. 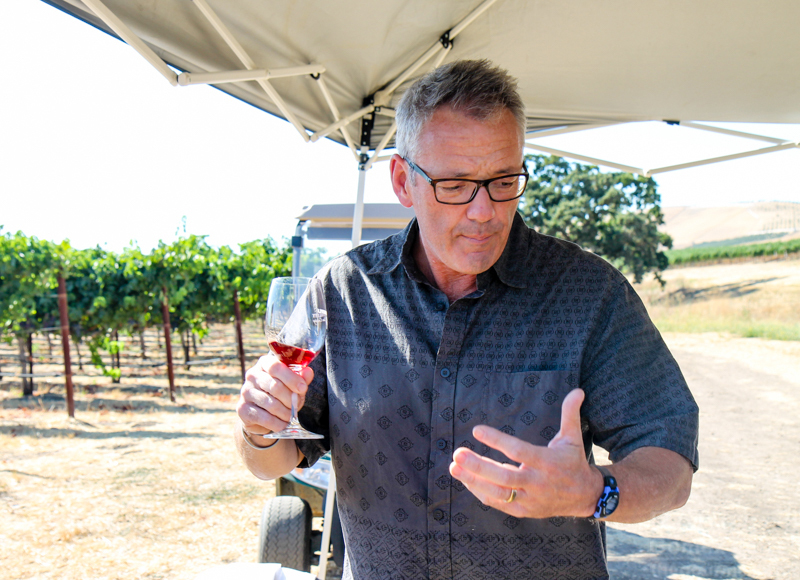 The Mirassou family planted its first vineyards in the mid-1800s in nearby San Jose, but Steven started his winery in the Livermore Valley in 1996, wanting to capitalize on the Bordeaux style. 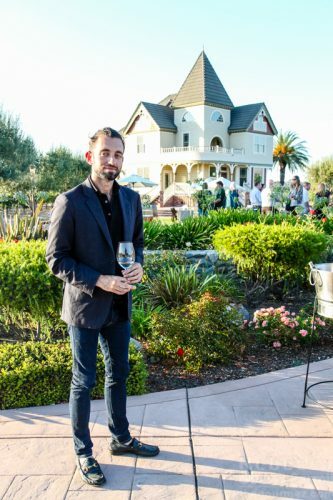 So while he comes from another line of California founding wine families, he simultaneously represents the newer ventures into this particular region. 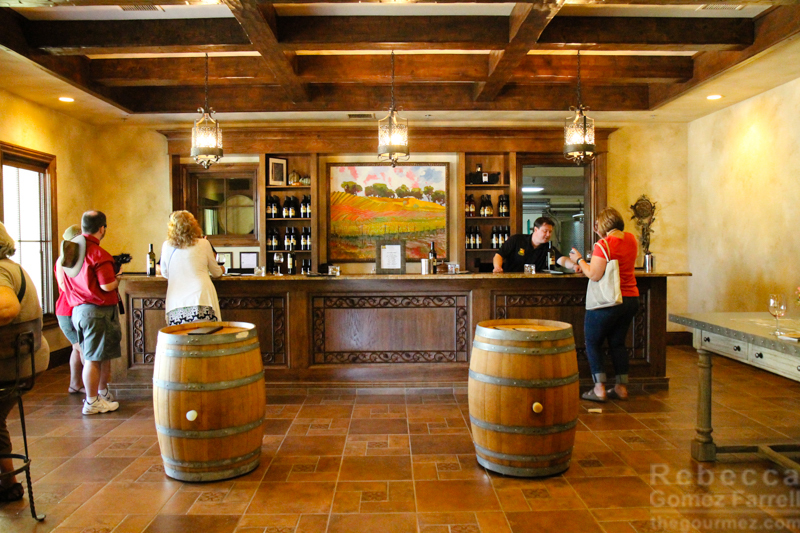 At McGrail Vineyards, founded in 1999, we worked our way through several offerings from neighboring wineries, and we learned that most of their sales are direct from the consumer, though online purchases are also offered. But they tend to aim low for production; as one winemaker put it, “If you can’t sell them, you can at least drink 1,000 cases.” That means coming out to Livermore and visiting the tasting rooms is the best way to experience the range of wines they offer, from the wild 3 Steves Sauvignon Blanc I mentioned in my Most Memorable Wines from the WBC post to the 2007 Cedar Mountain Cabernet Royale port, a lovely, yet not showy, dessert wine that paired well with a stone fruit hand pie offered at Sabio on Main in nearby Pleasanton. Another highlight from the lesser known wineries in Livermore Valley is Las Positas, where I enjoyed talking with their tasting room manager over a glass of their 2012 Reserve Cabernet Sauvignon. Call ahead to arrange for a cheese or chocolate truffle pairing flight for $20! 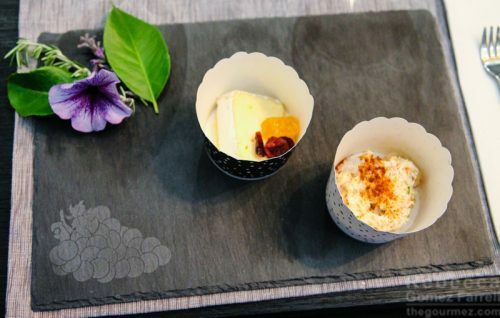 They use chocolate cups for part of the tasting. Still, two lasting highlights of our experience came from the founding families, though perhaps Murrieta’s Well can be seen as a bridge between the big names and the smaller ones. 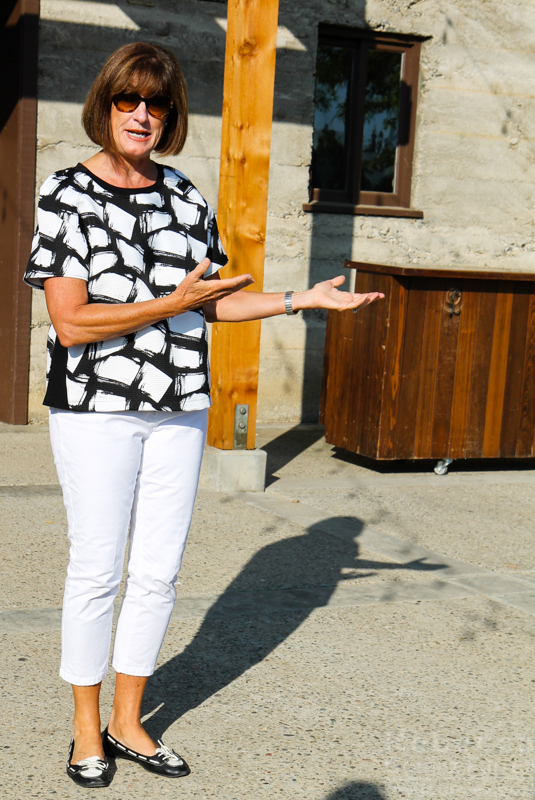 Carolyn Wente, CEO of the company, introduced us to the winery, which now focuses on small lot and blended estate wines. 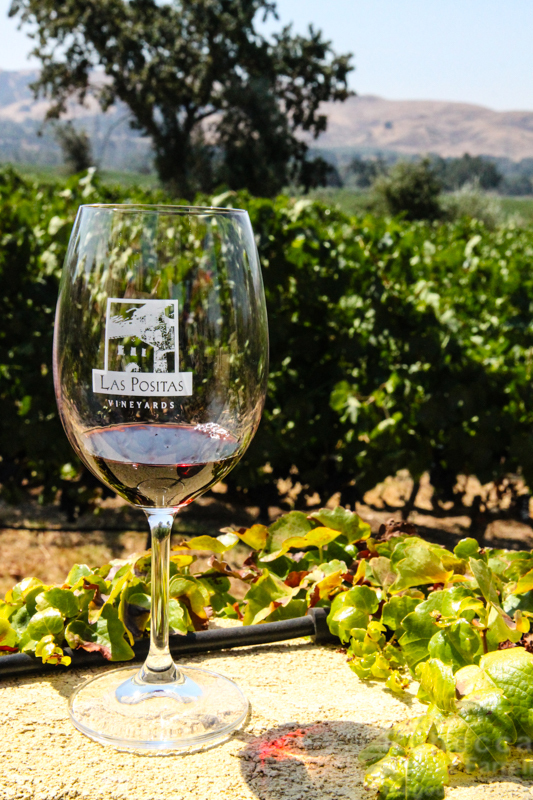 Owned by the Wentes since the 1930s and originally founded by Louis Mel in 1884, this vineyard was reborn 26 years ago and renamed on the basis of the notorious Joaquin Murrieta’s declaration that the estate’s artesian well produced the sweetest water in the area. 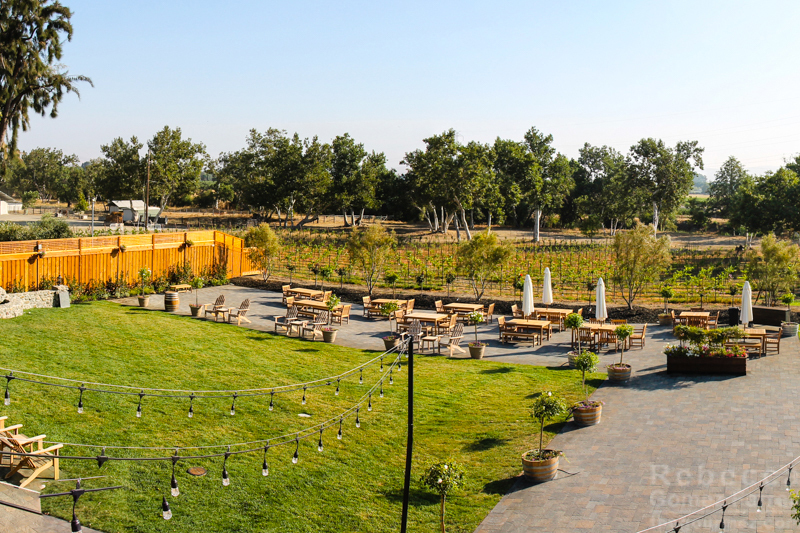 The newly remodeled tasting room is in the original gravity-flow winery building, and it captures the historic feel of the place. 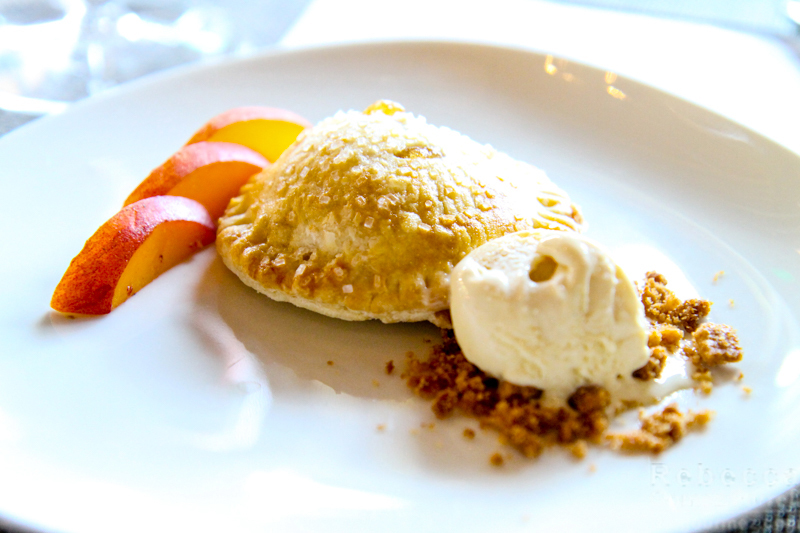 We headed through stone walls toward a breakfast pairing feast. I found the Murrieta’s Well 2013 The Spur to pair surprisingly well with bacon. With its notes of charcoal and spice, it would make a great complement to any number of meats, particularly beef-based Chinese dishes. The new outdoors Club Lounge for members makes for a lovely, shaded space for enjoying a flight as well. Over at the Wente Vineyards, Carolyn also introduced us to the Winemakers Studio, which is a must for anyone who considers themselves a wine appreciator and wants a fun way to explore a few aspects of it more thoroughly. We underwent abbreviated versions of four of their seasonal classes. Always a wine glass skeptic, I was amazed by how much the shape of the glass affected aroma in the “Size & Shape Matters” course. 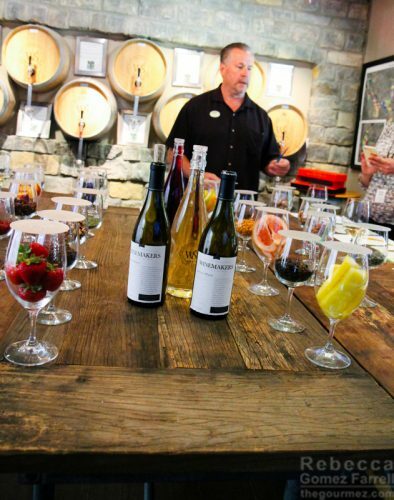 The “Aroma Seminar” involves sniffing a large selection of spices, fruits, and other compounds commonly picked out of a wine’s bouquet. 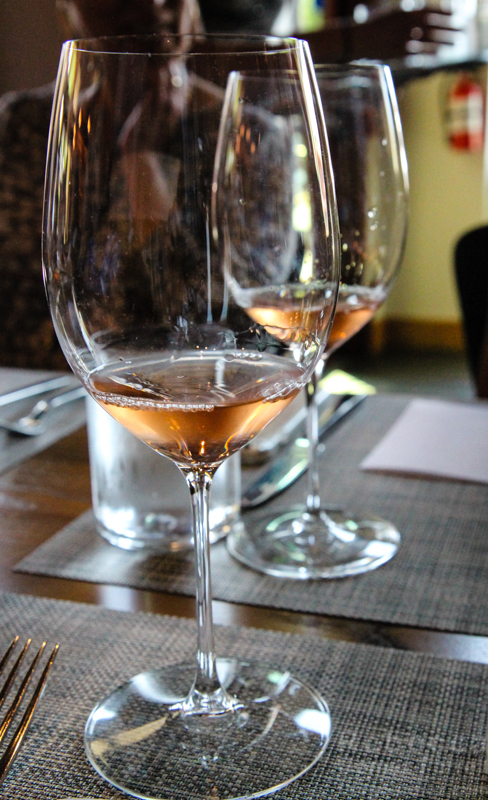 Attempting to pick out the individual aromas found in Wente’s 2015 Small Lot Viognier was quite illuminating! My group was perhaps most impressed at how difficult the “Black Glass Blind Tasting” affected our abilities to guess a varietal when poured into one. 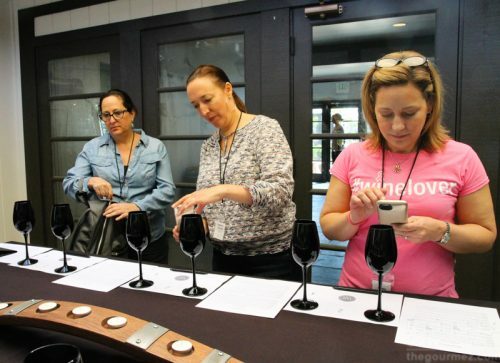 Wine bloggers ponder black glasses. We also all marveled at how much the Cuda Ridge 2014 Semillon changed with each bite of the “Wine & Food Pairing” course. Winemakers Studio sessions run between 1 to 2 hours and cost $35 to $95 for non-members. But I do have a coupon code to share with you, direct from Wente Vineyards, that is valid until 1/31/2017! Simply use the code VIPVISIT when you call to book an appointment and get two for the price of one! Could make for a nice day out with a friend when you need an escape from the family this December, Bay Area readers! Wherever you choose to visit, from small estate wineries to large ones that offer a small-family feel, Livermore Valley has excellent wine and relaxing venues awaiting you. I’m hoping to make it back out again on Black Friday and perhaps again and again after that. 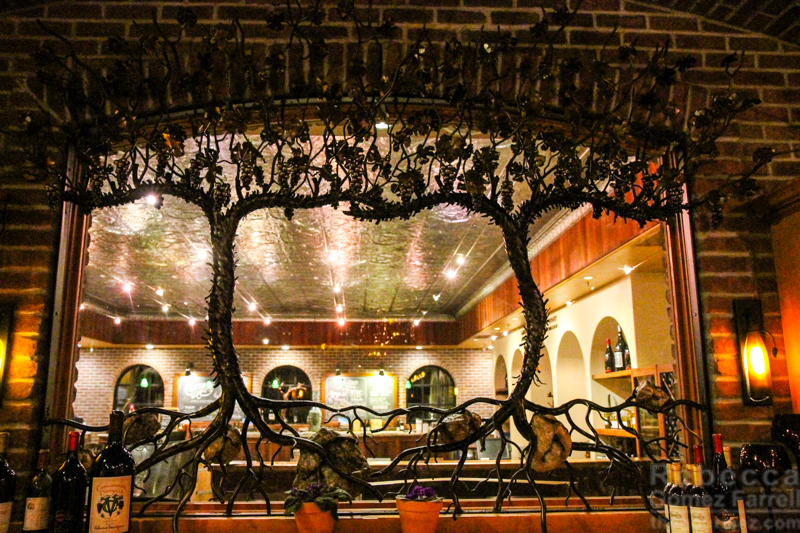 View into the tasting room at Concannon. Also a plus, especially for those of you more than a drive away, is the just launched free shipping program from Visit Tri-Valley! With hotel stay and winery shipping receipts, visitors to the area can apply to have the shipping and handling fees from their purchases at participating wineries reimbursed! Make sure to check out the details on that program here. 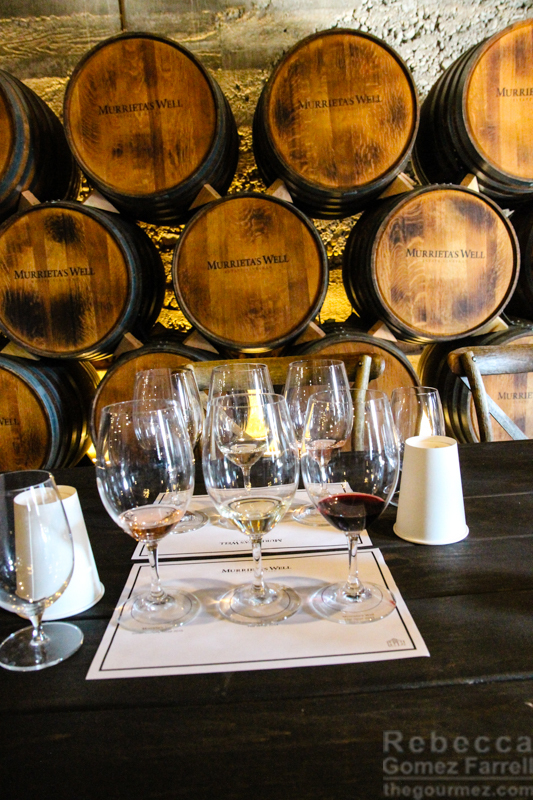 Thank you to the Livermore Valley Wine Growers Association for planning the excursion and to all of the area’s wineries for making it memorable. It was so great to go back again on Black Friday! 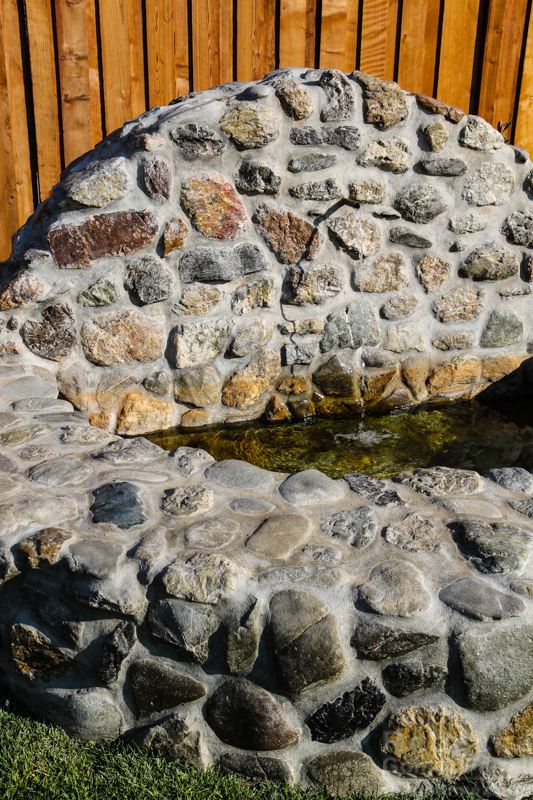 Murrieta’s Well was lovely again, and I got to try McGrail’s wines more in-depth and check out the Cedar Mountain lineup – they even make a sherry! Happy to drive us out for a visit if you’re ever in the Bay Area.